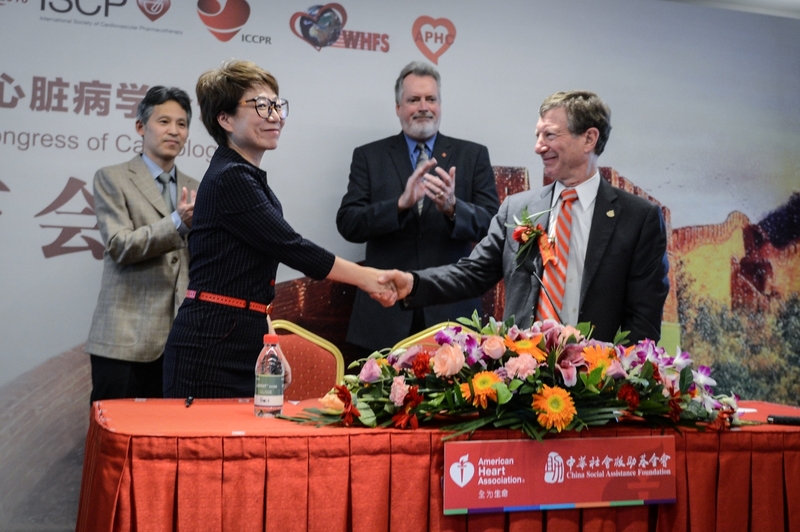 Beijing, China Oct, 13, 2016 – Today, at the 27th International Great Wall Conference on Cardiology, the American Heart Association (AHA) and the China Social Assistance Foundation (CSAF) held a signing ceremony to announce the establishment of the first AHA international training center in China with a primary focus on bystander response to cardiac arrest. At the AHA Beijing training center, experienced AHA faculty from China will offer standardized CPR, first aid and AED training to develop a team of instructors within CSAF who will deliver CPR training around the country and leverage the power of the media and awareness campaigns to enhance the public’s cardiovascular health education. 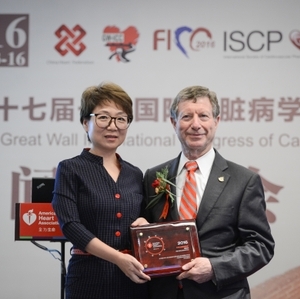 Cardiovascular disease is an increasing and devastating health threat to China. About 230 million Chinese have cardiovascular disease. 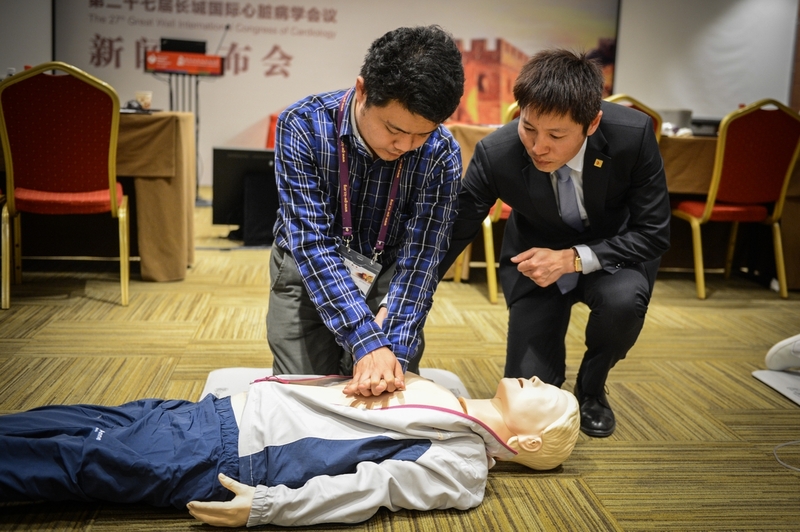 Every year there are about 544,000 deaths from cardiac arrest in China, much more than other countries. In a cardiac arrest, seconds count. Immediate CPR by someone nearby can double or triple a victim’s chance of survival. 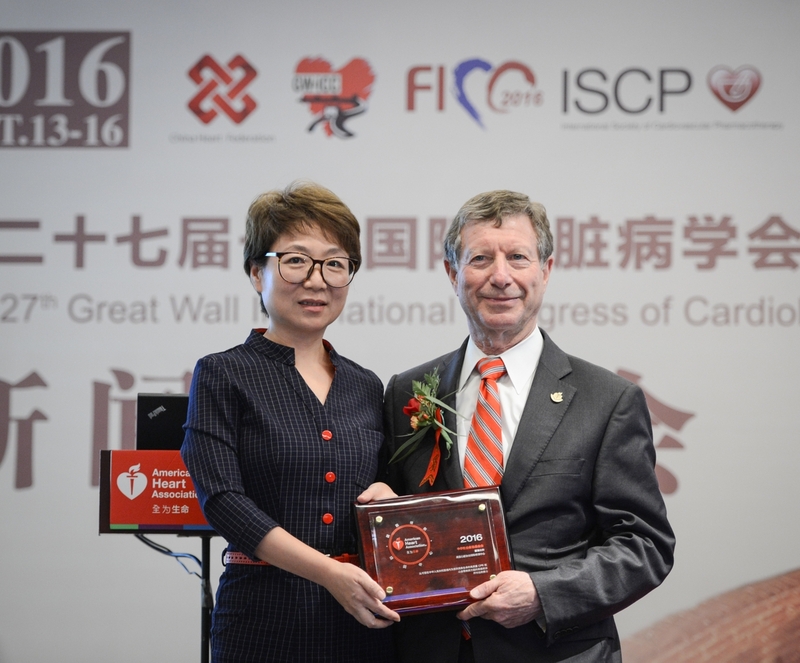 In China, the survival rate from out-of-hospital cardiac arrest is less than 1 percent against twelve percent in the United States. 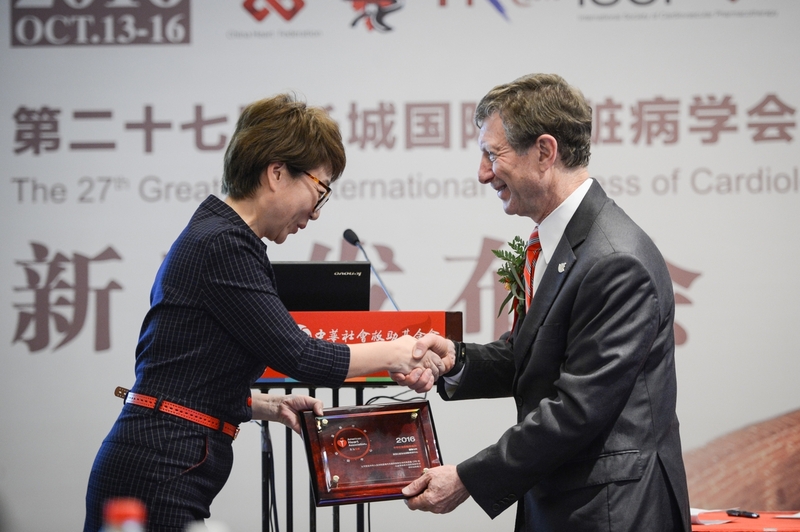 “The AHA international training center will be the hub of an in-depth cooperation between China and international organizations in health science and technology to collaborate together to find ways in reducing the danger and burden of cardiovascular disease in China,” he stressed. In fact, each minute without CPR decreases a cardiac arrest victim’s chance of survival by 10 percent. For out-of-hospital cardiac arrest, the action of a bystander immediately stepping in to perform CPR really matters. Thus, getting the population trained to quickly perform CPR is essential for saving lives. “AHA aims to fight against heart disease and stroke, ensuring that each and every person has the right to good health. 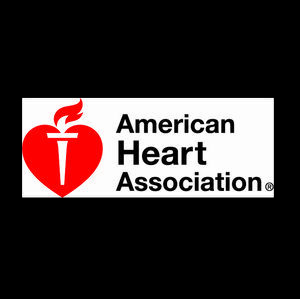 In a 10-year period starting in 2003, AHA played a significant role in reducing U.S. deaths from cardiovascular disease by 29 percent. We believe this kind of successful experience can benefit China. In close collaboration, we will share the best and brightest solutions in both countries to build healthier lives free from cardiovascular diseases and stroke,” said Mark Creager, M.D., professor of medicine at the Geisel School of Medicine at Dartmouth and director of the Heart and Vascular Center at Dartmouth-Hitchcock Medical Center in Lebanon, New Hampshire, and also the immediate past president of the American Heart Association. 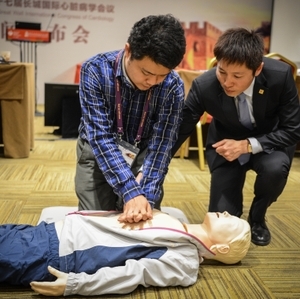 “We hope that soon we will see at least 10% of China’s population trained in CPR,” Creager continued. The American Heart Association is devoted to saving people from heart disease and stroke – two of the leading causes of death in the world. We team with millions of volunteers to fund innovative research, fight for stronger public health policies, and provide lifesaving tools and information to prevent and treat these diseases. The association is one of the world’s oldest and largest voluntary organizations dedicated to fighting heart disease and stroke. To learn more or to get involved, visit www.heart.org or follow us on Facebook and Twitter. To learn more about the American Heart Association’s emergency cardiovascular care programs and other efforts around the world, visit international.heart.org. 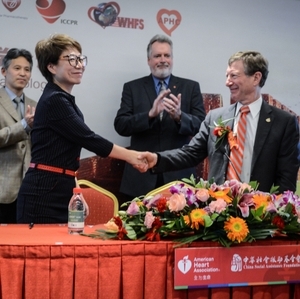 At the 27th International Great Wall Conference on Cardiology, the American Heart Association (AHA) and the China Social Assistance Foundation (CSAF) held a signing ceremony to announce the establishment of the first AHA international training center in China with a primary focus on bystander response to cardiac arrest. 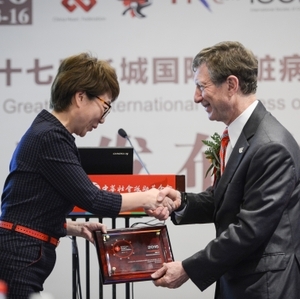 At the the 27th International Great Wall Conference on Cardiology, the American Heart Association (AHA) and the China Social Assistance Foundation (CSAF) held a signing ceremony to announce the establishment of the first AHA international training center in China with a primary focus on bystander response to cardiac arrest.